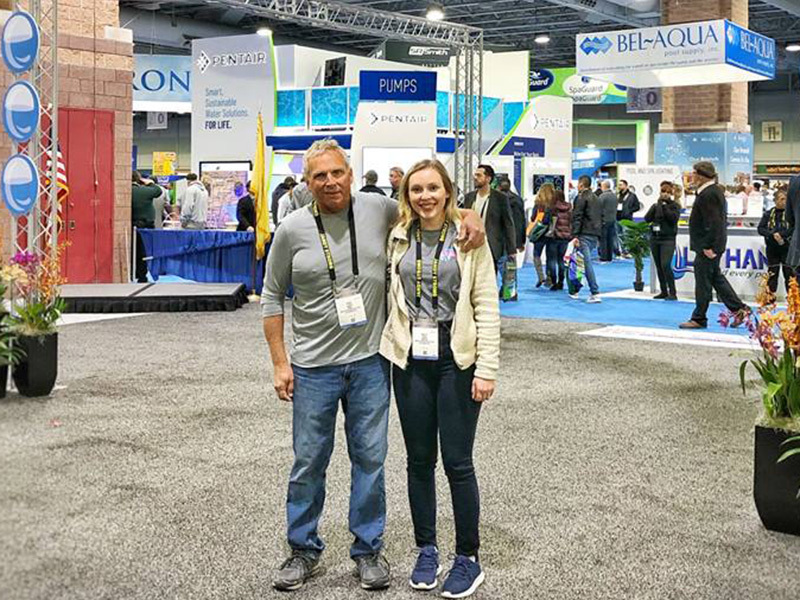 Though we are privileged to call ourselves the largest in ground pool builder and installer in Rochester, NY, North Eastern Pool & Spa is first and foremost a family owned and operated company. We have modest roots, and we treat every project with the respect and consideration that you can expect from a small, locally owned business. 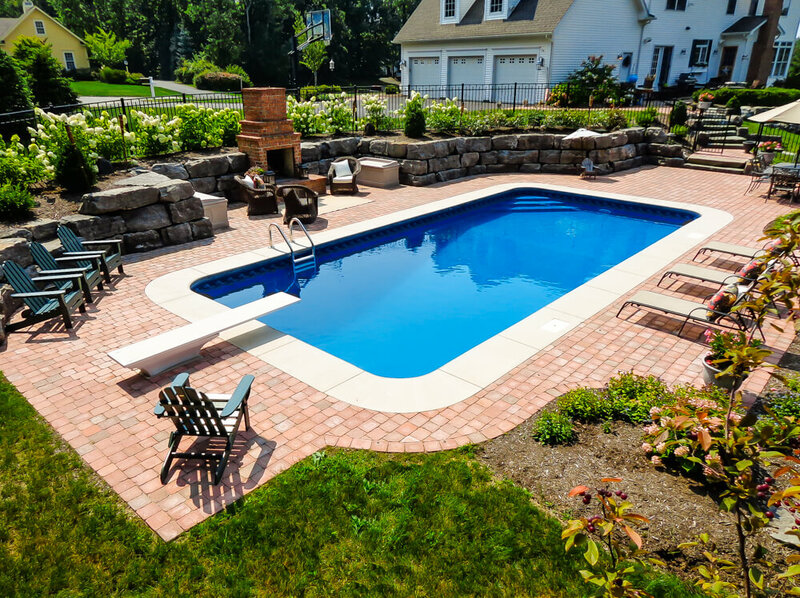 North Eastern Pool & Spa is a full service construction company based in Rochester, NY. We specialize in the installation of vinyl liner, fiberglass, semi in-ground, and above ground pools. With over 30 years of experience, we are confident we will be able to build you the backyard of your dreams and more! What better way to relax and unwind than by soaking in a brand new spa or hot tub? At North Eastern, we carry a wide variety of spa makes and models, giving you the freedom to explore your options in a fun, pressure-free environment. 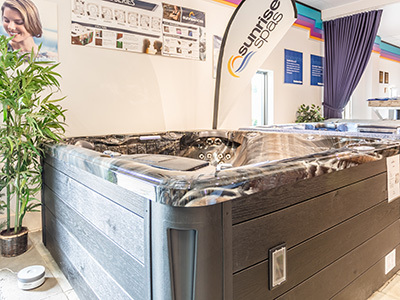 With over 20 spas on display, we know you'll find something you'll love! North Eastern offers a variety of pool and spa maintenance services. Let our highly trained team service your pool and/or hot tub, so you can enjoy your backyard without the stress! Book your pool opening, get quote for a new vinyl liner, schedule repairs, and more with our friendly, and experienced service team. North Eastern Pool & Spa offers a wide variety of high-quality pool and spa chemicals for purchase in our East Rochester, NY store. We take care to stock only the best, most potent, and reliable products so that you can be swimming in a clear pool and/or spa all season long! For this featured project, we installed an 18 x 44 Beverly Hills fiberglass pool. We love these pools, because they are quick to install - meaning you could be swimming in as little as 2 weeks from start to finish! For this project, North Eastern installed a 16 x 34 rectangle pool with corner concrete steps and finished off with beautiful red brick. Who else wants a backyard like this in their life? North Eastern installed a free form vinyl liner in ground pool complete with a spillover spa. It's practically a resort in this customer's backyard! For this project, North Eastern installed a semi in-ground Optimum pool fully in ground for our Rochester homeowner. Check out all the possibilities with semi in-grounds! “They make you feel like you’re their most important customer! And ALWAYS have time to answer all your questions & solve your problem!” Ann O. 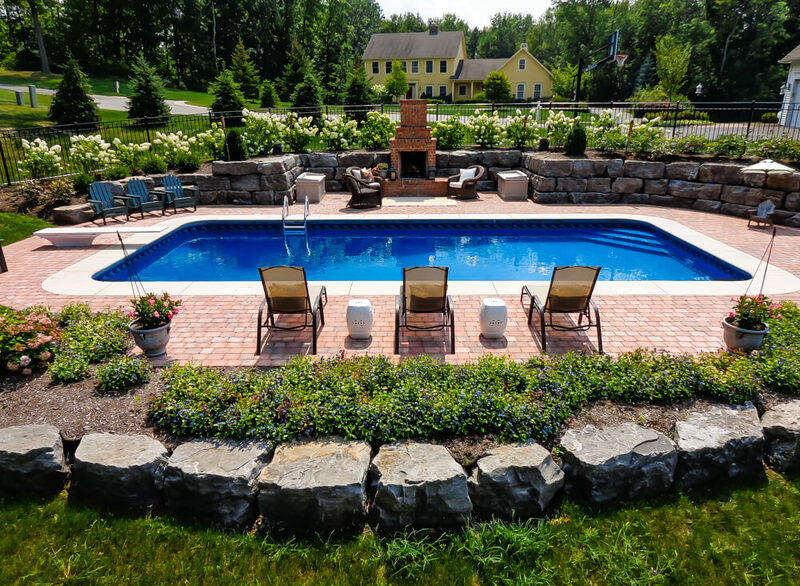 North Eastern Pool & Spa is Rochester's largest in ground pool builder. With over 30 years of experience, our craftsmanship is simply unmatched. We are proud to offer a variety of options to our customers, with variations in size, shape, price, color, and more, making your project truly unique and customized for your backyard. 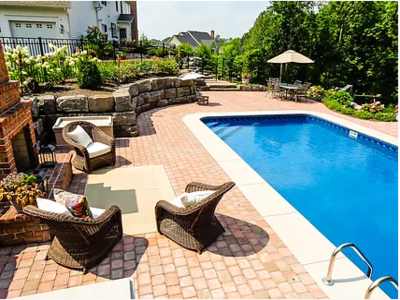 In addition to in ground pools, North Eastern specializes in fiberglass, above ground, and semi-in ground pool installation. We also carry a variety of spas and provide a multitude of services in caring for and maintaining your pool and/or spa. 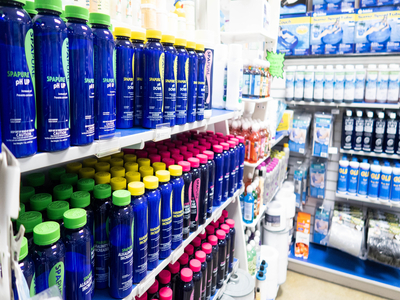 Our highly trained retail department stocks the highest quality chemicals and a wide selection of pool toys and games, making North Eastern Pool & Spa a true "one stop shop" for all your pool and spa needs. Come check out our21,000 sq. foot showroom and see for yourself!